On June 4, 1940, during the early days of World War II, Winston Churchill made a powerful speech to the British Parliament where he articulated the British people’s resilience in the face of the Nazi onslaught. It was Churchill’s stubborn resilience, and his ability to communicate it to the British people, that set the tone for British’s willingness to stand up to the evil aggression of the Nazi’s and their allies. 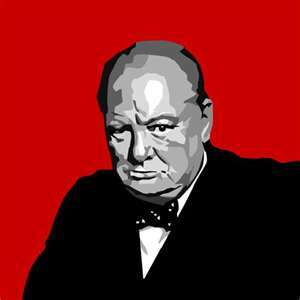 This personal quality of Winston Churchill is what we, at SpringHill, call “Professional Will”. Professional Will is the ability to face and fight through adversity, to overcome obstacles, and continue to work without giving up. This personal quality is important for a SpringHill staffer because working at SpringHIll, like working for any organization, has its ups and downs. We’re an organization of people serving people, so there are difficulties and frustrations that need overcoming. In addition we acknowledge the fact that we work in a fallen and broken world which creates the necessity to be resilient. That’s why our staff, though not needing to be Churchill like, does need to demonstrate his Professional Will. This is part 12 of 14 in a series of posts about what it takes to be successful at SpringHill.